The journal aims to encourage all researchers, PhD, Students and physicians from all fields to publish results that challenge current models, tenets or dogmas. 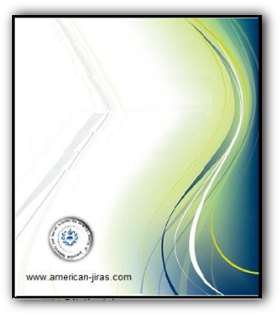 The American Journal of Innovative Research and Applied Sciences aims to give all researchers equal opportunity to share ideas, develop their career and for their work to have greater impact around the world. | Mohamed Ben El Caid *1 | Latifa Salaka 1 | Mohamed Lachheb 1 | Khalid Lagram 1 | Lalla Hadda Atyane 1 | Abdelhamid El Mousadik 1 | and | Mohammed Amine Serghini 1 |. Am. J. innov. res. appl. sci. 2018; 7(4):198-207. | Sanaa Sabour Alaoui *1 | and | Sidi Mohamed Lalaoui Ben cherif 2 |. Am. J. innov. res. appl. sci. 2018; 7(4):208-214. | Hassna Jaber 1 | Rachid Ijoub 1 | Asmaa Oubihi 1 | Imane Ouryemchi 1 | Miloud Chakit 2 | Brahim Bourkhiss 1 | and | Mohammed Ouhssine 1 |. Am. J. innov. res. appl. sci. 2018; 7(4):215-219. | Mohammed El Haouari *1,2 | Hicham Ech-Chahbi 1 | Saad Gouridech 1 | and | Karim Fallouky 1 |. Am. J. innov. res. appl. sci. 2018; 7(4):220-225. SCREENING PHYTOCHIMIQUE D’UNE PLANTE MEDICINALE : Mentha Spicata L.
PHYTOCHMICAL SCREENING OF A MEDICINAL PLANT: Mentha Spicata L.
| Hamid EL-Haoud *1 | Moncef Boufellous 1 | Assia Berrani ¹ | HindTazougart 1 | | and | Rachid Bengueddour 1 |. Am. J. innov. res. appl. sci. 2018; 7(4):226-233. | Jamila, Zaza 1 | Jamila, Dahmani 1* | and | Nadia, Belahbib 1 |. Am. J. innov. res. appl. sci. 2018; 7(4):234-238. | Nadia Ouzennou 1,2* | Samia R’kha 2 | Abdelmounaim Baslam 3 | and | Abdellatif Baali 2 |. Am. J. innov. res. appl. sci. 2018; 7(4):257-265. | Najat Assem 1* | Latifa El hafid 2 | and | Fatima Lamchouri 1 |. Am. J. innov. res. appl. sci. 2018; 7(2):239-256.